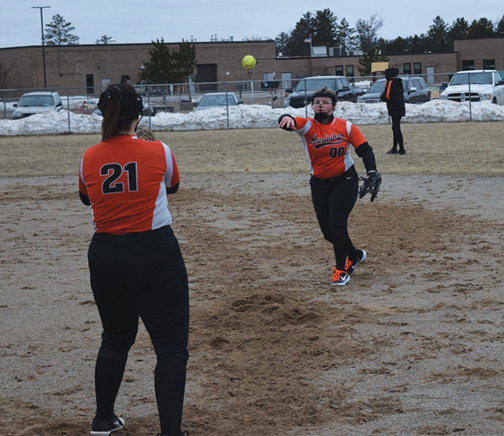 MARQUETTE — Nearly two dozen high school varsity and junior varsity softball teams from the Upper Peninsula and northeastern Wisconsin were able to play inside and away from the snowy weather on Friday to open the 17th annual Spring Swing softball tournament held in the Superior Dome. 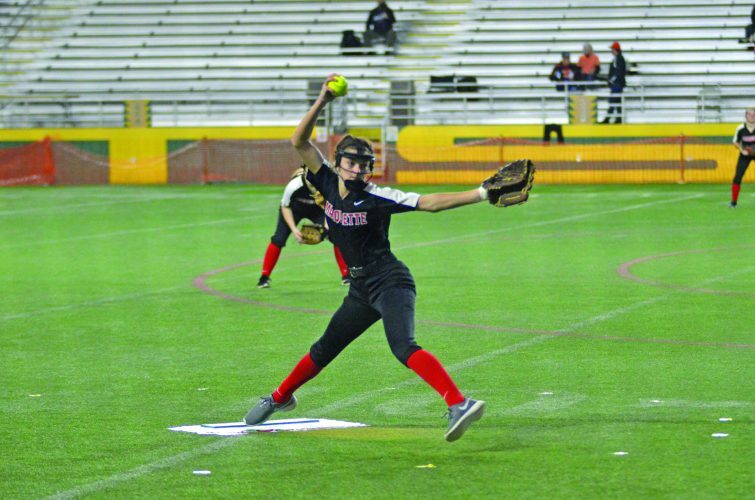 Almost every team was seeing the playing field for the first time this spring in an event hosted by Marquette Senior High School. Today’s second and final day of games includes start times from 8:30 a.m. to 8:30 p.m. on two fields on the dome floor. 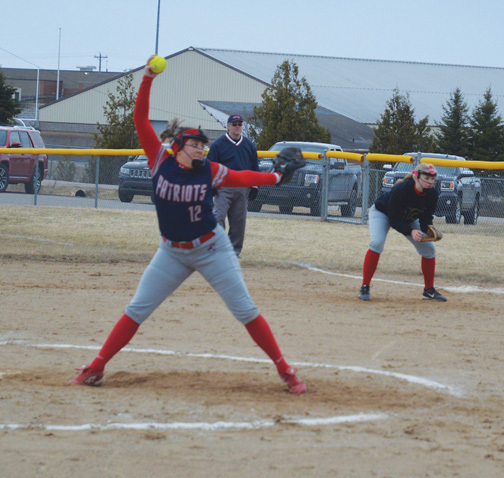 One area team had mixed results on opening day Friday as Westwood High School defeated the host Redettes 13-4 in the afternoon before falling 9-2 to Gladstone in a game that ended in the early evening. 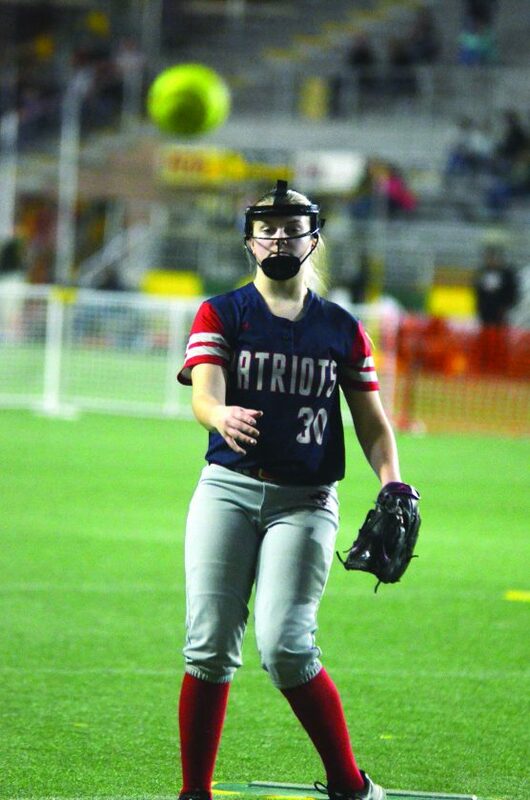 Taylor Trudeau made the difference with her bat for Gladstone in the sixth inning against the Patriots as she hit a dinger over the centerfield fence, all but guaranteeing her team a victory as Gladstone went up 7-2. Despite the result, Westwood head coach Jared Koski said he was pleased to get his team’s season started. 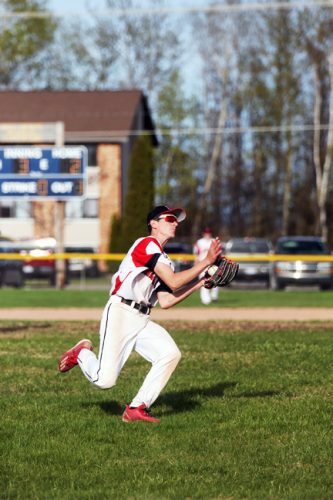 “Gladstone is one of the best teams in the U.P. and we went out there and played a good first couple of innings against them,” he said. “They got their bats going a little bit the second or third time around the order and they hit the ball very well. “They’re a solid hitting team. We made some great plays out there and we dropped just a couple. They just hit the ball better than we did and scored some more runs. Braves head coach John Nevala credited Trudeau’s power hitting with the moonshot that all but sealed the deal. Nevala added that it was nice to get out of the practice gym. “We haven’t been outside yet, but it’s nice to get a game in,” he said. “We’ve been practicing for five weeks and it’s tough to get anything done inside. Koski agreed with Nevala’s sentiment about finally playing a real game. Gladstone took a 2-0 lead after three innings, with the first run coming in the second inning off a wild pitch that scored Maddie Ahlgren. Trudeau scored from second base in the bottom of the third after teammate Sydney Herioux doubled down the left-field line. After a scoreless fourth, the Westwood bats came alive in the fifth. Back-to-back doubles by Allie Radcliffe and Raija Stille scored teammate Jenna Wealton and Radcliffe to tie it 2-2. The Braves moved back ahead with three runs in the bottom half of the inning to make it 5-2 before Trudeau’s homer added two runs in the sixth. Gladstone tacked on two more after that on two errors to help pull away. Each pitcher went the distance on the mound. Andie Balenger went all seven innings for Gladstone while Radcliffe strode the rubber for Westwood. 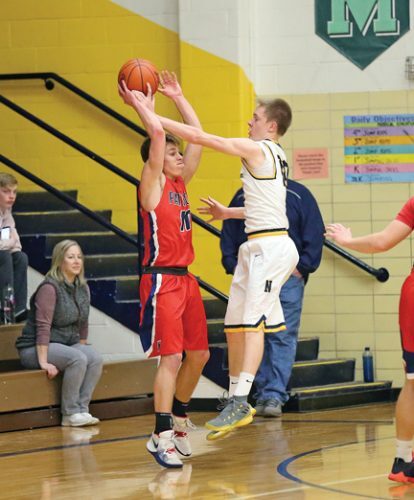 The Patriots face Calumet in its only game today at 10 a.m., while Gladstone squares off with Rudyard at 10 a.m. and Bonduel, Wisconsin, at 2:30 p.m.
Koski said the youth on his roster will be the focus today as the tournament wraps up. “We’ve got a lot of kids on our team right now because we just don’t have quite enough for a JV team,” he said. “I have all those kids here with me and I want to give them a chance to play (today). We’ve got a really good team in Calumet that we’re going to face and I think we’re going to get some of those younger players some experience and a chance to get on the field. “It’s about trying to get better every game. Every time we play we want to do something a little bit better. I hope we can just keep pushing and getting better every game.